Hailed “a rising star of stage directing [whose] approach to directing refreshes hope for the future of opera,” Eve Summer is a director, producer, and choreographer. She has been described as having “a gift for translating classic symbolism into familiar detail with just enough flippancy to bring out the fun of the opera without skewing the emotional equation." This season Ms. Summer directs The Pearl Fishers at Opera Tampa, The Little Prince at Tulsa Opera, The Tales of Hoffmann at Opera Orlando, Aida at Boheme Opera New Jersey, The Magic Flute at Opera in Williamsburg, and Suor Angelica in concert with the Boston Symphony Orchestra starring Kristine Opolais. Selected previous directing credits include Trouble in Tahiti at the Glimmerglass Festival, Così fan tutte for Connecticut Lyric Opera, Lucia di Lammermoor for Boheme Opera New Jersey and Commonwealth Opera, Xerxes for Connecticut Early Music Festival, Carmen for MetroWest Opera, The Magic Flute for University of Hartford, L’elisir d’amore for Opera del West, the world premiere of Larry Bell’s opera Holy Ghosts at the Berklee Performance Center, Suor Angelica for Boston Opera Collaborative, and Le nozze di Figaro for dell’Arte Opera Ensemble and Kaliope Opera. Ms. Summer’s work has been called “eye-poppingly contemporary,” "a riveting, glorious production from beginning to end," that “can only be described as brilliant." Critics raved that her production of Xerxes was “a delight, and a testament to Summer's gift for banishing stodginess from an art form too often seen as fossilized and elitist”. Her style is naturalistic and modern and rooted in the visceral truthfulness of stage plays, where she started her directing career. Ms. Summer’s notable assisting engagements include Francesca Zambello on the world premiere of Ben Moore’s Robin Hood at The Glimmerglass Festival, Julia Pevzner on her widely acclaimed production of Shostakovich’s The Nose at Opera Boston, Tim Albery on Janáček’s Katya Kabaonova at Boston Lyric Opera, and at Opera Saratoga she recently collaborated with renowned choreographer Karole Armitage on the critically acclaimed American premiere of Philip Glass’ The Witches of Venice. She has been on staff as an assistant director and choreographer as well as staged concerts and outreach opera at The Glimmerglass Festival, Tulsa Opera, Des Moines Metro Opera, Boston Lyric Opera, Opera Colorado, and Opera Boston. 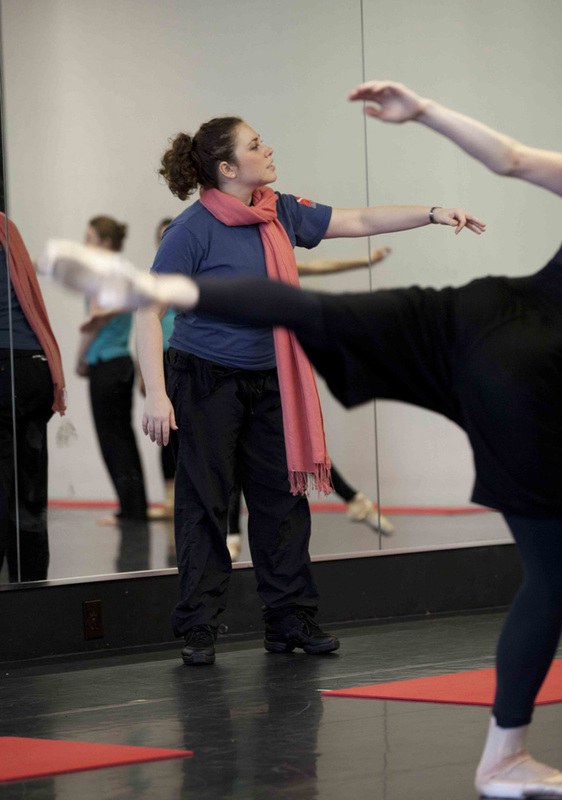 A former professional ballet dancer, Ms. Summer trained at the Kirov Ballet and Boston Ballet where in addition to her classical training she studied Character dance, African, Flamenco, Modern and Limón technique, and Jazz dance. She performed extensively with the Boston Ballet Company as a young dancer and spent a season as a principal dancer with the Worcester Youth Ballet before joining the Inland Pacific Ballet Company in southern California where she went on to dance Corps de Ballet and Soloist roles and cover Principal roles for three seasons. Recent choreography credits include Elektra for Des Moines Metro Opera, Falstaff as Movement Director for Opera Colorado, and a commission for the world premiere of Mark Warhol’s ballet Jeanne’s Fantasy for Contrapose Dance.